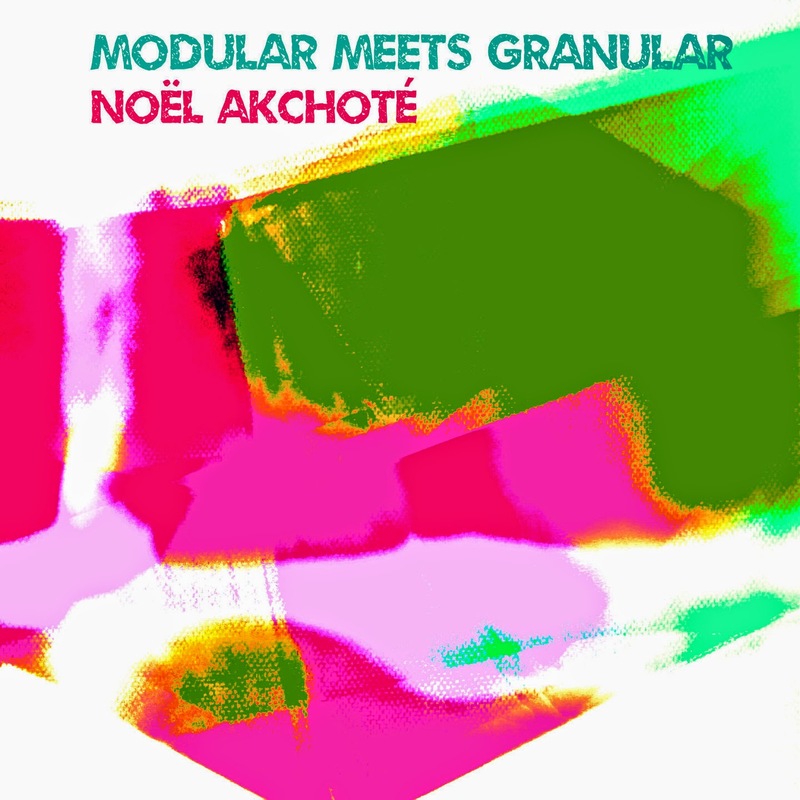 Noël Akchoté has always been a sort of enigma to me. A musicial chameleon, changing his skins and colours yet keeping his own specific style, pictoresque and very calleidoscopic blend of jazz, free-improv, austere experimental rock and anything you can put into a free form of composition and even classical contemporary music. The list of musical legends he has been playing with is just immensely field with innovative freaks and far-sighted fulcrum of geniuses. He himself is definitely not in the end line of this queue. Modular and granular is a spacey black hole to dig again and again and again till there is even more to dig. The facade of spacey jazz-rock, illustrative sci-fi soundtracks all put into parenthesis of sound synthesis and modulation of tonal and atonal blend. The first look at it gave me some sort of blurry feeling that he is winking his eye towards the listener, and not for the first time he feels like making a joke and at the same time doing a piece that although ironic and not entirely serious somehow elusively and effortlessly gives a nice field to test himself into a terrain that might be bumpy and easily to be walked astray but yet everything is under serious disciplinarian stance and strategy of cimaxing edgy guitar synth sounds. Twinkling in the maze of hazy soundscapes and glitching plonks guitar somehow finds its way through straying from one theme to another. The context of thespacey drone ambience that swells to the perfect size and then microbursts into small pieces of dispersed pennies of gleaming gold - a continuous soundtrack where linear narration gives the hint to specific themes of sci-fi literature and movies - a human development, the mystical connection with the ultraworld of the elusive dead zone, evaporative state of mind, altering the consciousness by remedies, gnostic picture of the world transposed into the picture of mechanised world of tomorrow. I take this material as a sidekick of Noël's musical dramaturgy - less obvious and more difficult to classify but anyway whose of his albums really is.